If you are an owner of a website or blog, apart from placing entries, building communities, it is also important to know what is happening on your site. This is where the problem of web analytics start. With access to data, you can get information about visitors, as well as how they behave on the site. 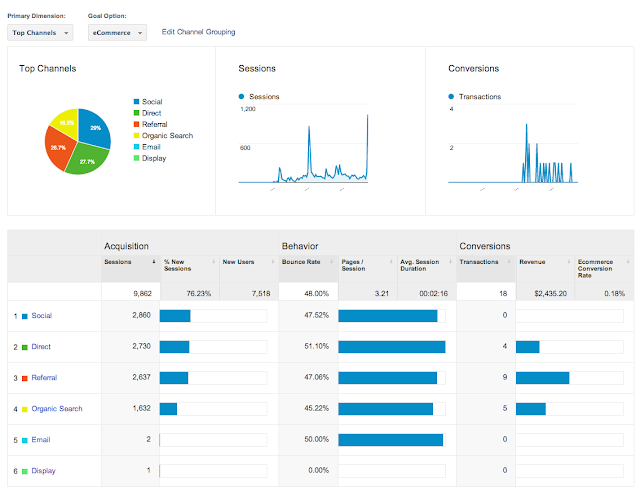 One of the tools that will allow you to take a closer look is Google Analytics, which is a free tool. 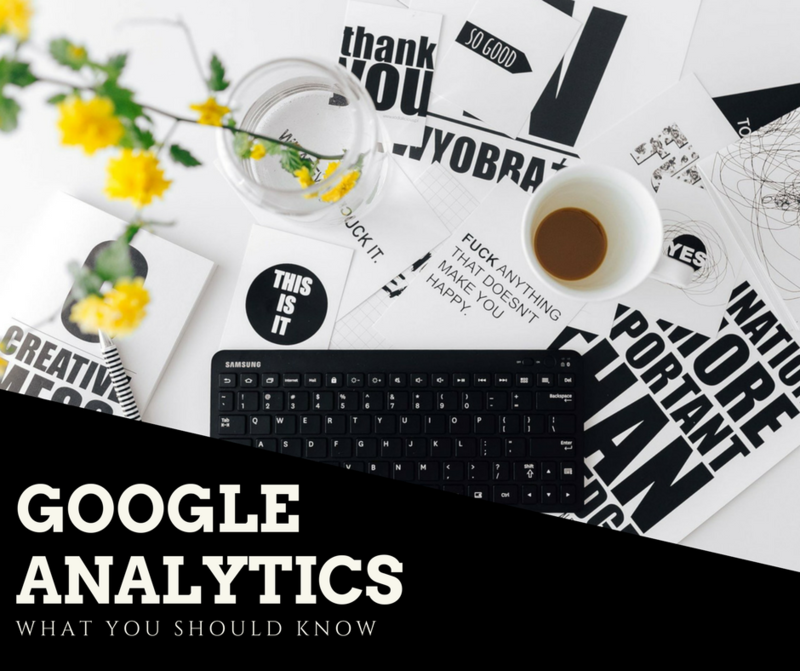 The purpose of this article is to familiarize you with the basics of the Google Analytics tool and show you a few places that are useful. The data shows you what's going in hard data. In some of social media platforms, you have access to statistics (on websites or using external programs) so you can use information about what's going on within your website. Based on the collected data, you can check trends, make comparisons, draw conclusions, optimize the website and check whether the actions taken by you (e.g. marketing) are proceeding as planned. 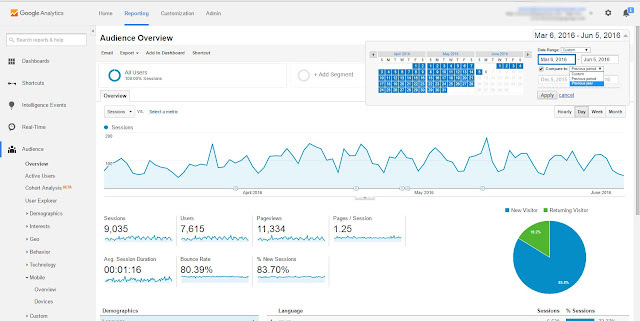 The Google Analytics tool will provide you with information, including information about people who visit your website, but also about how they move within a page or blog. You can find out who they are, where they reach you from or what pages are the most popular. 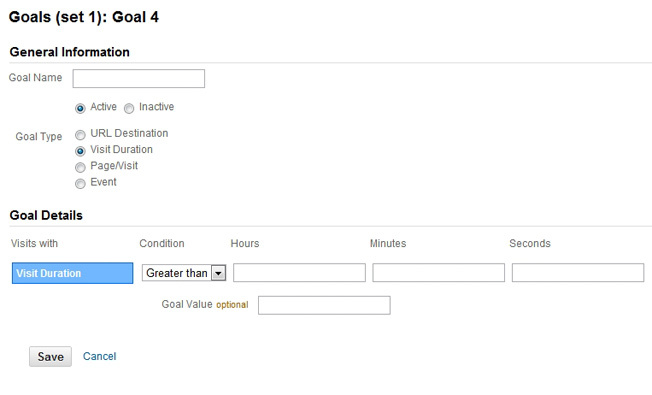 You will also check whether you are achieving the goals set (conversion) and what is the traffic on your website. Access to the data is free, just put the code. How to connect the site with Google Analytics? All that remains is to put the code on the page. To access the data, you put the code on the site. To do this, you must have a Google account. When you have them, the next step is to set up a Google Analytics account - all you need to do is go to http://analytics.google.com/. In the "Administration" section, you'll find the "Account" tab and then "Create a new account". You enter the data in the form, and after that, your eyes will see the code. User (UU) - the so-called number of unique users. You will meet with the statement: "my site is visited by X users". We will not find out exactly how many people visit your website. The user is a cookie that is saved in the browser, and by specifying this point - the user is a browser. 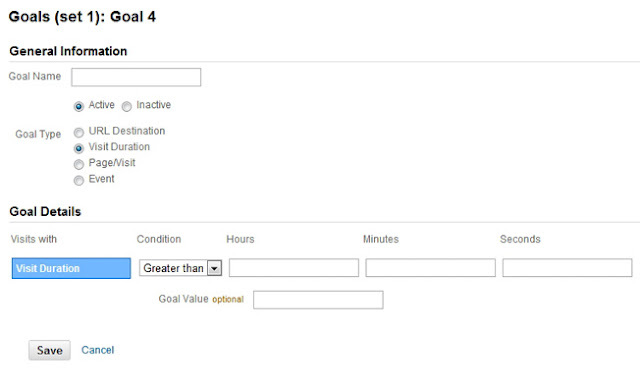 For example, one person can use 3 browsers - Google Analytics will count 3 UU, although it is still the same person. Session - is the user's entrance to your website. For example, a person came to your website(visited one or more pages), Google Analytics will count the visit as one session. Bounce rate - This is the percentage of users who entered one page and did not switch to the next. When people visit more pages, this is information that the content is interesting enough. But is a high bounce rate something bad? Does it mean that the content on the site is not interesting? Not necessarily. It may be that a person goes to your website, finds what he is interested in and goes out - satisfied with the information she found. There may also be the second situation - the content is not interesting. Pages/session - you will see how many average pages your users have visited during the session. This is your command center in Google Analytics. On the left you will see the functions available, on the right the statistics that will give you information about people visiting the website or blog. You will also find a percentage distribution of new visitors to the site compared to those returning. Date range - in this function you can set the time from which the data should be analyzed using the calendar. At this point, you can also compare periods with each other to see how data changes over time. Information on who visits your site is very valuable. You can check if your site is visited by people from your target group. If it turns out that the site is targeting women, and most people visit it is a sign that it is time to modify the action. Google Analytics will provide you with some information about people who visit your website or blog. Get to know your visitors better. Information can be found in the "Audience" - "Demographics" tab. In the section, you will find basic information about visiting you. Check if these are the people to whom you are directing your site. When you delve into the report, you'll get more data. In the "Gender" section and then "Age", you'll see data for specific values. In the next tab, you check the geographic data. You'll see where people coming to your website or blog come from. You will receive information about the country, province, and city. Think about whether this tab is important to you. If you act locally, you can see where your customers are coming from. If you notice increased traffic from a specific location, you can think about opening a branch in a new city. In the "Behavior" tab, you'll see a comparison of new and returning people. Find out which group stays longer on the page, see bounce rate. This way, you will learn, for example, whether for people who first visit the site your content is interesting. If the time spent on the site will be very low and the bounce rate will be high - it may be a signal for you that it is worth looking at content, navigation, photos on the site. Also, observe information regarding your regular readers. In this section you will also find the "Frequency of visits" tab - you will find out how long people return to the site. In the "Engagement" site, you will see the duration of the session and the depth of visits (how many subpages visited your users). You can delve into reports and draw conclusions that are important to you. It's time to find out which places people go to your website. Information about the places from which users go is found in the "Acquisition " section. In the "Overview" category you will find a general traffic schedule. To look in more detail, go to the "Channels" tab. You will see this information. What do the above terms mean? Goals are one of the elements to start with. Your website or blog should meet specific goals. If you have a store - the goal is for you to sell. Another purpose may be a subscription to the newsletter, a specific time spent on the website or the number of subpages visited. The data you analyze is worth checking in the context of the goals you set. At the end, all you need to do is confirm everything. The first goal is set! 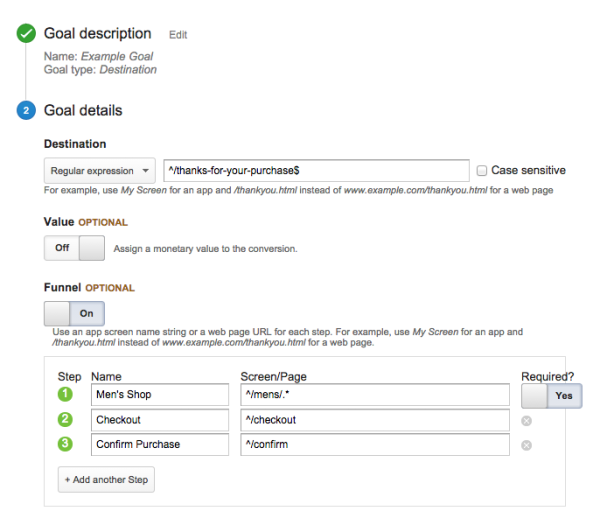 See what goals are important to you and what you want to measure in the context of your site. You have reached the end of the entry about the tool, which may not belong to the most interesting ones. However, it is useful in the context of checking what is happening on your website. Hope you found this informations useful. I am jealous of graphic designers. I do not mean this badly. I failed a graphic design class. It seened complicated and needing software one can't afford. I just more or less admire graphic designers. This was a great blog post. Your ideas, theories, etc was very informative. Most people woukd not comprehend what you do, and your blogs show your love, passion, and knowledge for your posts and blog. Awesome blog. Thank you those useful information. Very very informative blog ! Pinned so I can go over this later. Looks like very useful info. This is so informative and helpful! Thank you so much for sharing! Thanks for providing such a useful information! Thanks for sharing this useful information about Google Analytics.